More than 100 young men descended on Lathlain Park recently to participate in the second annual Naitanui Academy Cup. 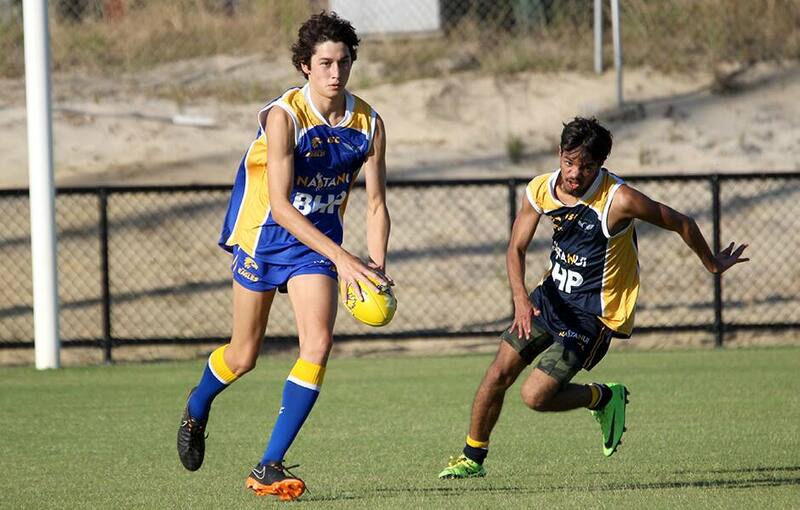 The contingent of developing football talents took the field in the hopes of being crowned champions of the round robin competition hosted by the West Coast Eagles. The six teams vying for the title represented their respective WAFC aligned districts: Royals, Demons, Lions and Swans – all of which are aligned West Coast WAFC zones. The Edmund Rice All Stars, a community group based in Mirrabooka, also participated in the competition for the second times. Edmund Rice have become an integral part of this event over the past two years and provided plenty of highlights on the night. The players were fortunate to have premiership Eagle Willie Rioli, and the academy’s namesake, Nic Naitanui, watch one as the exciting athletes did their thing. Both Rioli and Naitanui were a huge hit among the players and families alike. They stopped for photos and addressed the teams as they huddled during half-time breaks. The Demons and Lions squared off in the grand final, with the Demons prevailing in a close encounter. West Coast Eagles game development manager Kim Hannah said the evening event was a great success. “The effort shown and spirit in which the games were played in is a testament to the groups we engage with,” Hannah said. Special guests attending the event included Town of Victoria Park chief executive Anthony Vuleta, Chung Wah Association secretary Sheila Rejek, Perth Football Club chief executive Marty Atkins and West Coast Eagles community and game development general manager Richard O’Connell.